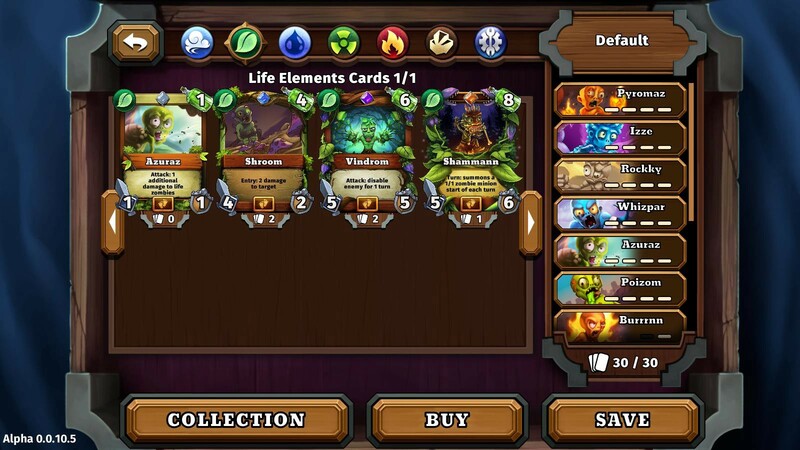 Designed by Loom Network’s veteran team of game designers — Zombie Battleground, the first collectible card game that runs entirely on the blockchain is NOW CROWDFUNDING ON KICKSTARTER! Zombie Battleground was successfully funded on Kickstarter in under 24 hours. The campaign ended on August 13. Zombie Battleground Custom Game Modes is now available, so you can create your own version of the game, run your own ladder, and even add monetization. Read about how old-school games inspired us and what this update means for you. Zombie Battleground — the game we’ve been developing in-house for quite a while, is now officially crowdfunding on Kickstarter. Click to Check Out Zombie Battleground on Kickstarter! 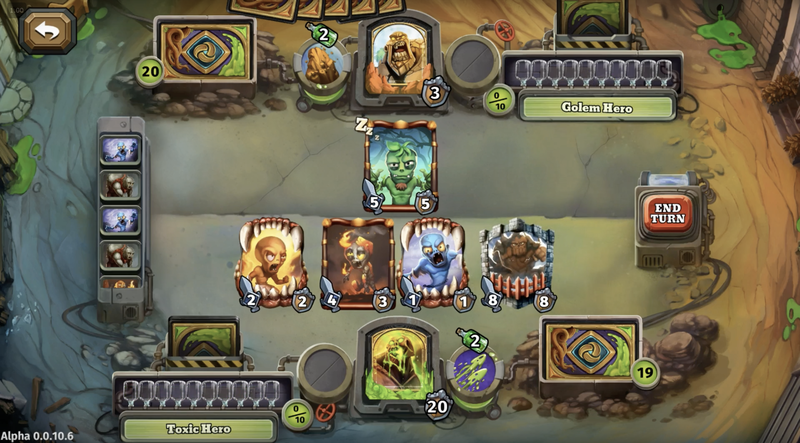 It’s a Magic: The Gathering-style collectible card game we previewed last month where all your cards are stored on the blockchain. Zombie Battleground is a fast-paced, loot-filled, collectible card game that runs on the blockchain. Back in April we announced three games that we were in the process of building as demos to demonstrate what’s possible with the Loom SDK. But when we all played the first demo of Zombie Battleground, we fell in love with it. The game was so good, that we realized it had the potential to be much more than simply another niche “blockchain game” — it had the potential to compete with major mainstream game titles. So we decided to go all in, double down our resources on Zombie Battleground, and make this game as amazing as it can possibly be. And thus, the idea for doing a Kickstarter was born. We’ve said it before, and we’ll say it again. Our goal at Loom Network is to bring the blockchain to mainstream audiences. And we think this is one of the best ways to do it. Raising money through a Kickstarter not only allows us to expand our game team to give the game the necessary level of depth and polish expected of a mainstream title, but it also allows us to reach a totally new audience that has never been introduced to the blockchain before. Let’s face it. As early adopters and dedicated nerds in the blockchain space, you and I love to focus on the technology. It gets us super excited, and keeps us up late at night, laying in bed scrolling through our Twitter feeds until 4am. But mainstream users don’t really care about the technology — they care about the benefits. What can this blockchain stuff do for me? As you and I know, there’s all sorts of benefits to running a game like Zombie Battleground on the blockchain. As a player, you have true ownership of your cards, and no one can take them away from you — not even us, the company who made the game. Players can buy, sell, or trade the cards they earn directly with other players on our massive p2p marketplace. No need to shell out tons of money buying “loot boxes” from the company — and if you quit the game, you can sell your cards to try and earn back any money you spent playing. All cards in circulation are fully transparent to all the players… which guarantees that rare cards are ACTUALLY rare. It puts the player and the community in charge of the game, instead of a centralized corporation. We’re hoping that through doing a successful Kickstarter campaign, we can help get the message about the benefits the blockchain can bring to games out to mainstream audiences. In Zombie Battleground, you TRULY own your own cards. They’re stored as ERC721 tokens on Ethereum, and you can buy, sell, or trade them as you please. As we’ve mentioned before, when a user plays Zombie Battleground, it looks and feels no different from a normal mobile game. Your average, run-of-the-mill gamer will be able to download and start playing the game simply because they think it looks cool on the app store, without knowing a single thing about blockchain or cryptocurrency. Then later down the line, when they want to start trading cards with other players on the marketplace, we can ease them into the concepts of blockchain-based digital ownership and digital currency. As I mentioned in our SDK launch announcement earlier this week, selling the cards they’ve earned in Zombie Battleground may be the way that thousands of people earn their first ETH. That means games like Zombie Battleground may be thousands of people’s very first introduction to Ethereum and the blockchain. And I think that’s so cool, I’m getting super pumped about it just putting these words on the page! 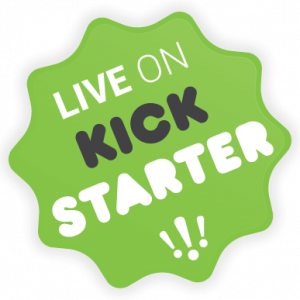 If you’re passionate about blockchain technology like we are, and you want to help bring it to the masses, then supporting and spreading the word about our Kickstarter is one of the best ways to do that. The bigger this campaign gets, the more publicity it will receive, and the more attention we can bring to the benefits of the blockchain in gaming. Not only that, but the more money we raise to fund the game, the more stretch goals we can hit to make the final game even more feature-packed and polished for its public release. Every single dollar we raise is going to go back into making this game as epic as it can possibly be. Getting more backers in this initial stage also increases the number of players we’ll have during the initial public release of the game — and having a thriving community around the game is one of the best ways to help it succeed. So if you’re a gamer AND a blockchain nerd, we know you’re going to absolutely LOVE Zombie Battleground. And even if you’re not a gamer, hopefully you see the potential in what Zombie Battleground could do for mainstream adoption of blockchain technology. Zombie Battleground will be open to all players by the end of 2018 — but as an early backer, you’ll be able to start playing it as early as AUGUST. By backing the kickstarter, you’ll get early access to the game, and all sorts of exclusive backer benefits, like limited-edition rare cards that won’t be available after the campaign. Yes, provably rare exclusive backer cards — verifiable on the blockchain, and tradable on our marketplace. We’ll be doing a monthly rolling release schedule to all backers of the Kickstarter campaign, starting in August. That means you’ll get a new version of the game with new features every single month, so you can start playing, give us your feedback, and help contribute to making this game as amazing as possible before the official launch.